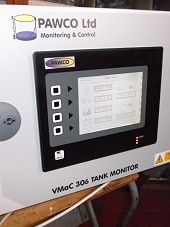 The VMaC-3 Series is a Versatile Monitoring and Control system built around a stand alone colour touch-screen user interface. 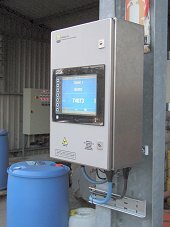 This platform allows for the monitoring and display of a flexible range of inputs for up to 24 tanks. 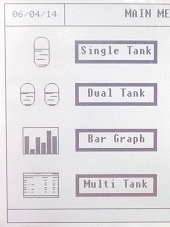 It provides functionality to aid in all important processes commonly associated with sites that store product in tanks. Process: - Level, flow, pressure, temperature, etc. Environmental: - Effluent, emissions, interceptors, bunds, etc. 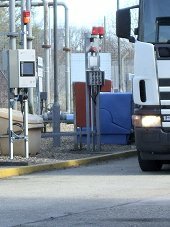 Safety: - Guards, gates, valves, pumps, etc. With multiple communications ports not only is it an ideal hub for connecting and interfacing to discrete field devices, but also a gateway for the integration and data transfer between other systems such as security or loading systems. A security model is implemented to ensure that only those with appropriate rights can access the various system features and configuration options. This, coupled with a comprehensive system of Event Logging ensures that it's always a simple matter to determine exactly what events happened and when. 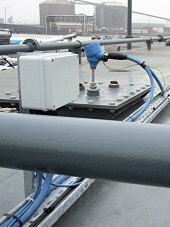 Calibration tables holding up to 500 level to volume conversion points per tank coupled with 16 bit resolution provides highly accurate contents readings when connected to precision level measuring devices. 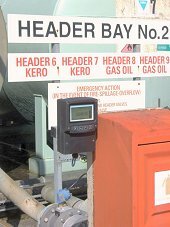 GPRS modem capability is a standard feature allowing text and email notification of alarm events. The system can even manage the routing of text responses to other designated recipients on the notification list. The in-built Web Server allows access to and control over the entire system from anywhere in the world; all you need is an internet connection and you can connect to your site; keep an eye on the stock level in a particular tank or monitor the progress of important transfers and blends. It is also possible to install new features to the system remotely, so we can instantly upgrade your system, no matter where you are in the world. 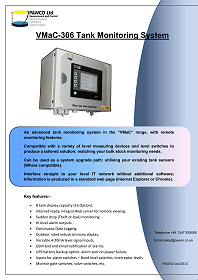 A 16 tank monitoring system is also available. 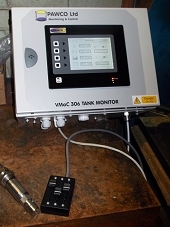 With a simple mono display this lower cost system, is aimed at smaller installations, but still provides most of the high level background functionality and connectivity of its larger 310 cousin. Digital switch inputs – High level switches.